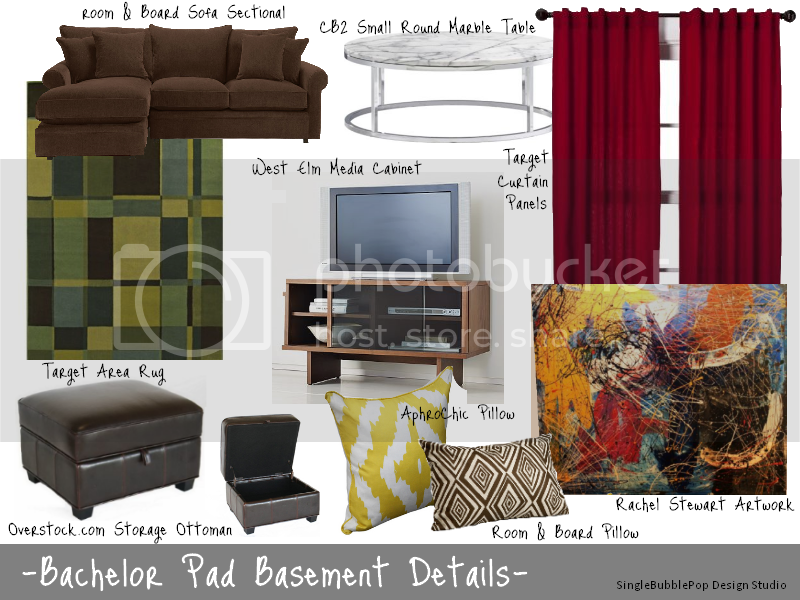 These are the key elements to the space I designed for the bachelor pad basement. My objective was to make the space feel modern, comfortable and not like a basement! I wanted to make sure there was plenty of seating without making the space feel cluttered. The products I used can be found at Target, Overstock.com, West Elm, Room & Board and the AphroChic Shop. If you love the AphroChic Haze Mimosa Pillow, be sure to enter the giveaway on Hello Splendor and you might just win one! For more information on Rachel Stewart's art, please check out her website.